The Gruber family of Fiber Optic Polishing and Termination devices contain the latest state-of-the-art tools and consumables. 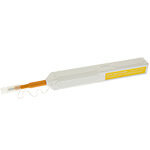 This focus cleaner pen cleans the ferrule end faces removing oils, dust, or other debris without scratching the sensitive fiber. 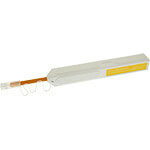 These high-performance cleaning devices assist with cleaning off any minor interferences on fiber optic connectors like dust or debris. 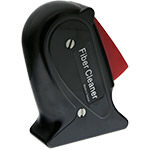 Designed to be a rugged handheld tool that will clean the end faces on all compatible fiber optic connectors. This box of light duty wipes is used to wipe down machines, computer parts, or optical instruments.